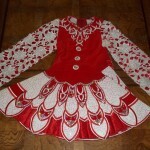 Beautiful red and white Gavin Doherty solo dress in excellent condition. The white Battenburg-laced sleeves magnificently accent the red velvet bodice on this championship dress. 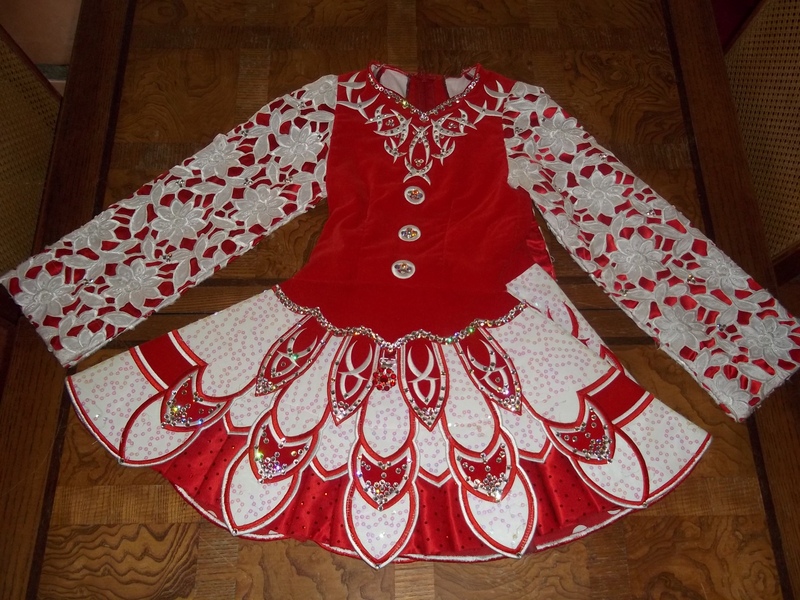 The nearly 500 Swarovski crystals enhance this dress’ eye-catching stage presence. 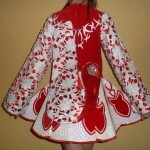 The white paneled skirt is covered in pearlescent sequins, artfully complimented by the sequined-adorned red ruffles. 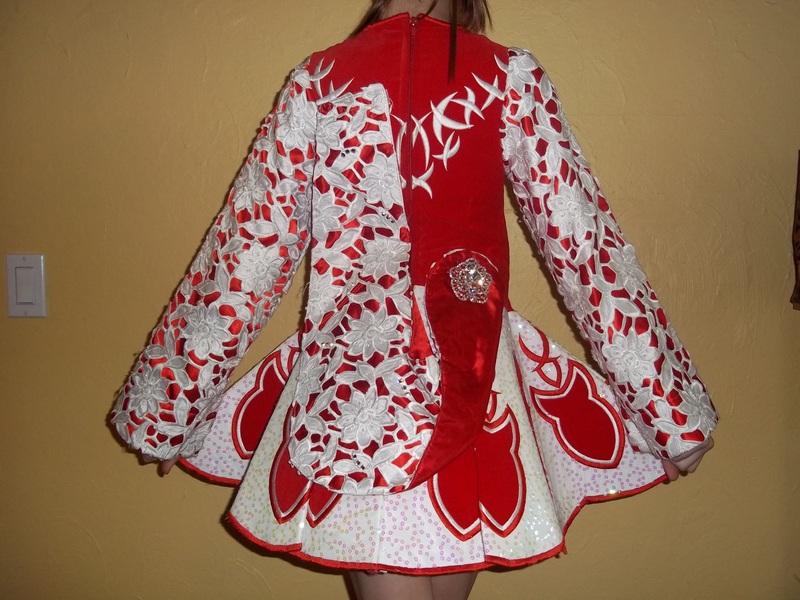 The underskirt is an adorable red with white polka dots. This dress, complete with red bloomers and a red crystal-laden headband, had been meticulously maintained in a smoke-free home and has always been stored flat. There is about 2″ of let out in the waist and in the sleeves. Asking Price: $US600 or best offer. Shipping costs not included. Will accept returns and refund the cost of the dress, buyer to pay all shipping costs.